City centre flats in the UK cost twice as much as in the United States and £100,000 more than in Europe, new research has found. But there are considerable variations with a buyer able to get five flats in central Manchester for the price of one in London at £144,000 each compared to £788,000 in the capital city. Overall, the UK is the 16th most expensive nation in the world for a central flat, with prices 52% above the global average with London the most expensive city, according to the research from comparison website Finder. Hong Kong is the world’s priciest country for a central flat, costing £1.3 million on average, followed by Singapore at £781,000, Switzerland at £543,000, South Korea at £438,000 and Japan at £364,000. After Hong Kong, London and Singapore, the most expensive cities in the world for urban flats are Beijing at £676,000, Zurich at £670,000 and Shanghai at £667,000. The cheapest nation of the 91 countries with available data is Egypt where a two bedroom city centre flat only costs £27,000 on average. The cheapest city is Sumy in Ukraine, where a flat would cost £20,000. ‘These statistics show that prices for a city centre flat in the UK are generally comparable to our European and global counterparts. 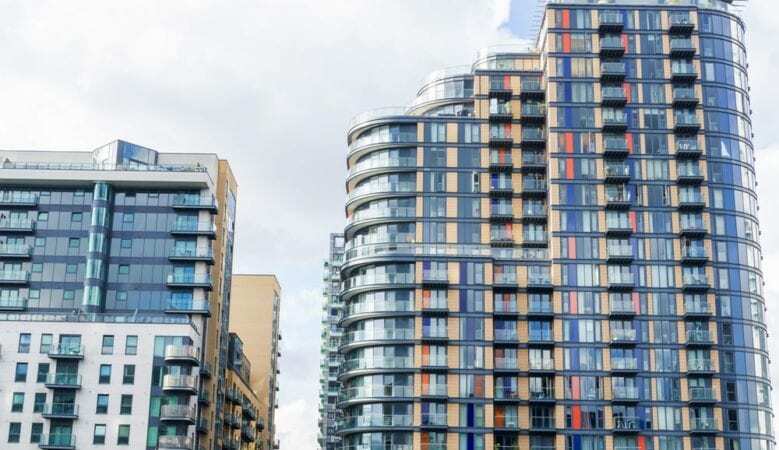 London is very much the exception to this rule though, with a central flat being out of reach for young British people trying to get a foot on the property ladder,’ said Jon Ostler, the site’s chief executive officer.